Hi, I just got my 80 z28 and it needed a new radiator so I swapped it out with a new one and fired it up and the 2 hoses outlined in red would get really hot. The car was only running for about 5 minutes. What are these 2 hoses? And why would they get hot like this? Thanks for any info. I'll move this to the "Classic Engine Tech" forum, better chance of getting help. "Drivetrain" is for everything after the engine - clutch, trans, driveshaft, etc. I will also caution that there are not a lot of 2nd Gen owners on the site, but you might get lucky. Mostly 4th Gen LT1 owners at this point, unfortunately. 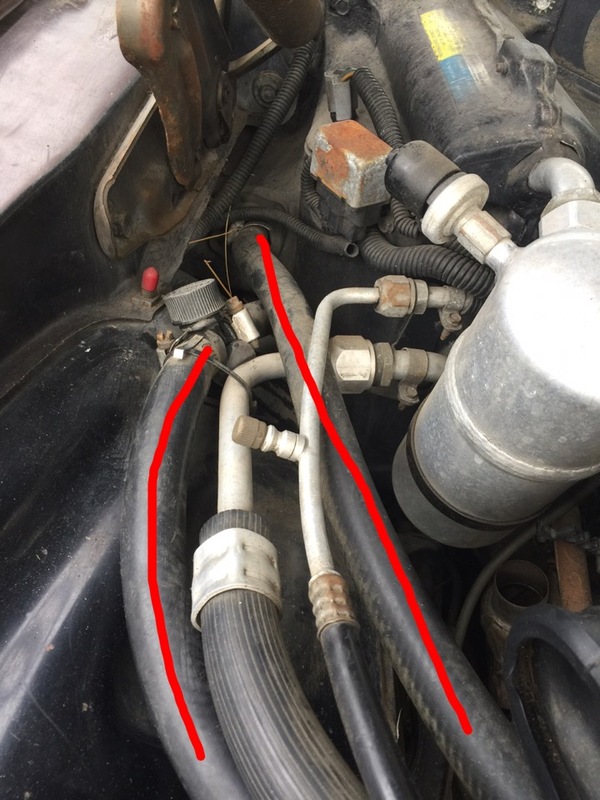 No expert, but those look like the heater hoses, possibly? Last edited by Injuneer; 03-04-2017 at 09:32 PM. AHh, ok I'm new to the forums. Thanks for the info! Those are, the lines running to the heater core, as Fred said. 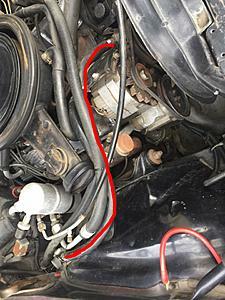 The hoses to the heater core run right from the water pump to the block.So they would get the heat from the block first. While the water from the block to the radiator is controlled by the thermostat so it would start getting warm later.As long as the car doesn`t overheat I shouldn`t see a problem.And if you are really concerned you could always flush the system.